We have recently tuned in to Astro Go Shop (Channel 118) and we must say that we are impressed with the well-produced TV shopping programs. In case you are not aware, Astro's newly setup home shopping business is a joint-venture (with RM70mil capitalisation) between Astro Retail Ventures and South Korea's GS Home Shopping, which is listed in KOSDAQ. 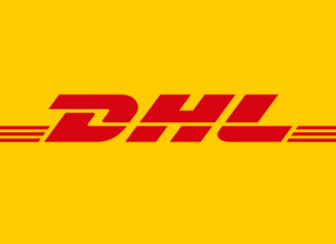 It was also announced in the agreement that this joint-venture will not be limited to TV home shopping only, but also Internet shopping and mobile shopping in the future. You can just head over to GS Home site in Korea to get some clues on their online shopping setup. 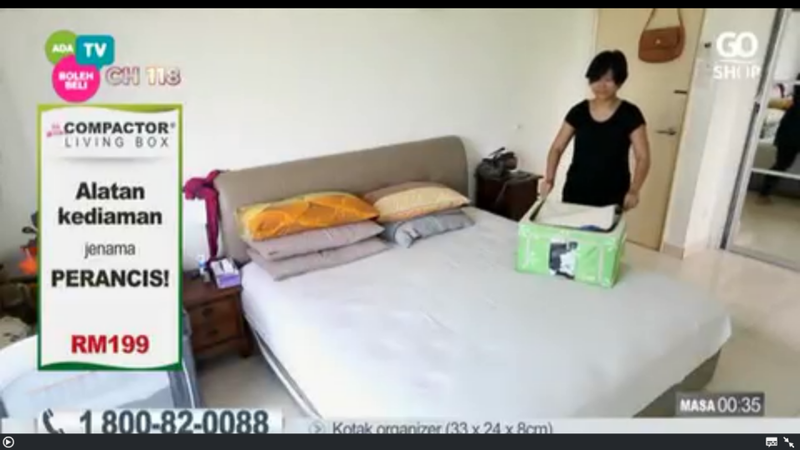 With such a strong partner in GS Home, it's worth taking a closer look on its merchandising and production, which we would say that it is a level above all other local TV shopping channels we have seen so far in the market. If you are a merchant selling online, TV shopping program is a channel to get inspirations or ideas on how to effectively sell your products online. Most of the selling techniques in video can be mirrored or applied in your product pages, "who" practically acts like your online salesman. 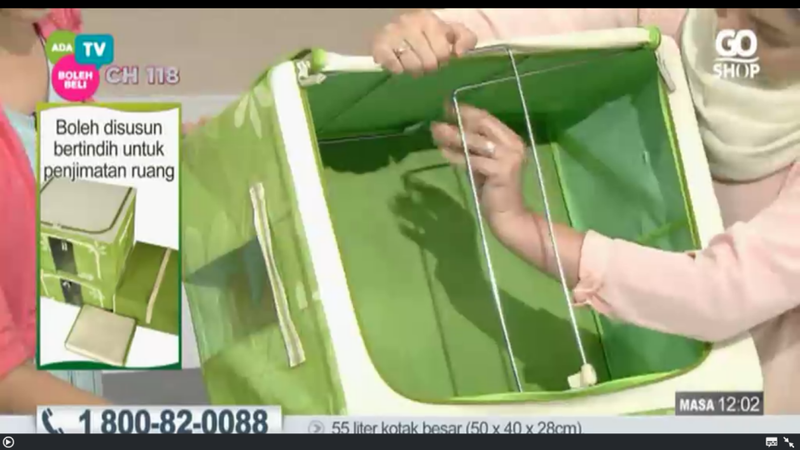 Just read on and see for yourself how a TV shopping program sells an ordinary-looking storage box for RM199 (a set of 4 + 2 organizers). If you refer to our article earlier on how to build your product page based on buying psychology, it is best to grab the attention of your potential customers first before selling your product benefits. So, what is the problem your product is trying to solve? 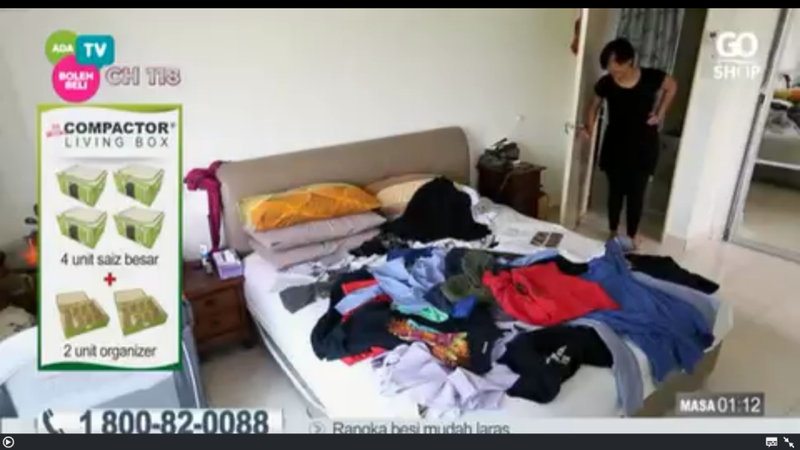 In this particular case, it is a messy-looking room as visualized in the image above. This is one of the ways to capture the attention of your potential customers. You can take this to another level by visualizing the experience after using your product, which is a clean and neat-looking room here. As shown in the demonstration above, it is a classic "before vs after" example of selling your product or solutions. If possible, you can provide more scenarios on how the product can make your customer's life better. 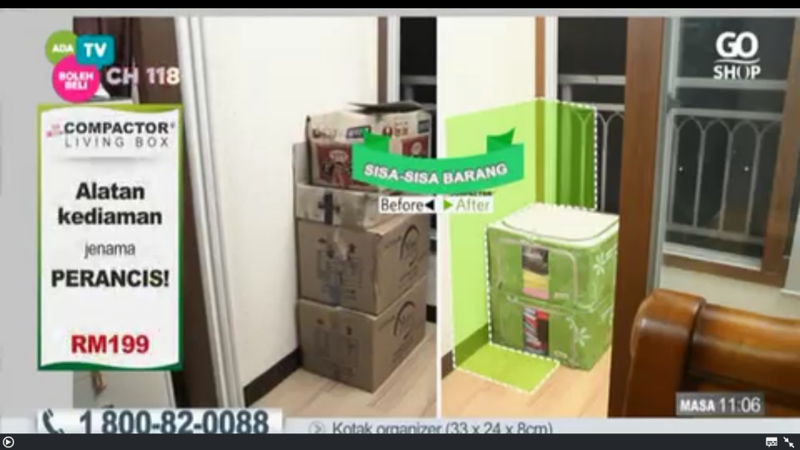 In the example above, it is demonstrated again how a messy-looking stack of boxes can be transformed into a neat-looking, space-saving solution by using the storage boxes. Can you imagine that your customer might need to take a tape and measure how to use or apply your product? This might be the point of abandonment if the customer is undecided by just "imagining" based on the dimension or measurement stated in your product page. 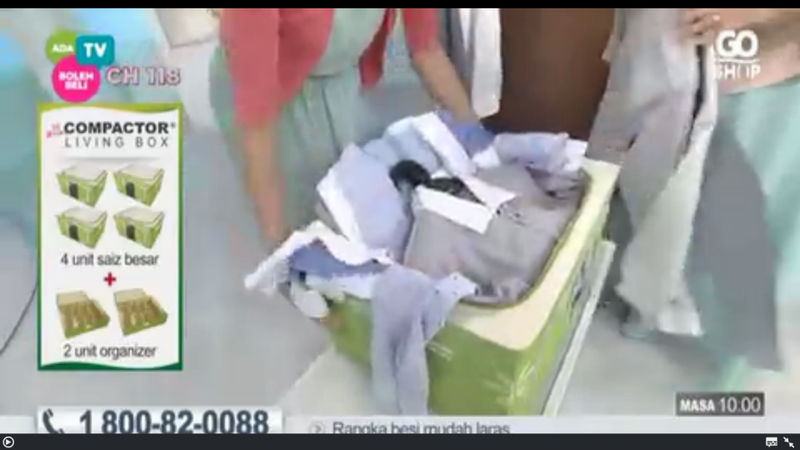 How about visualizing the real-life application just like the above, which demonstrates on how many clothes you can fit into the magical storage box? In the image below, you can also easily visualize how tall is the stack of 3 storage boxes compared to a real-life adult. If you notice, the visual above is actually demonstrating the product strength with an empty box withstanding 2 filled boxes, at the same time delivering real life visualization and comparison. Do you think your customers will be convinced by the usual statements like high-quality materials, water-proof etc? 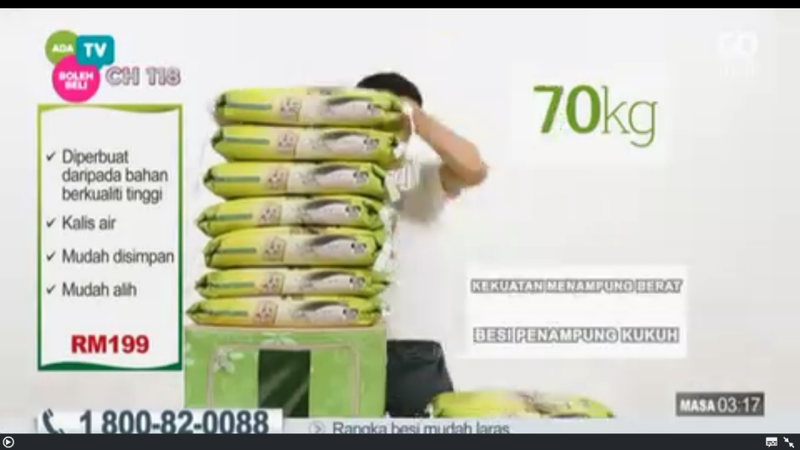 What about demonstrating your product strength like the example above, by stacking packs of rice on top of an empty storage box, rather than just shouting out in words that it can withstand 70kg. #5. How is it better compared to others? Remember the old-days detergent TV commercials when the advertiser always compare its own brand with "brand X"? This is something applicable to your product page too. Again, rather than just saying "water-resistant" in your product description, why not show it in photos how your product can be better compared to others out there? #6. How to use or apply the product? You might need to assume that the potential customers know nothing about your product, and you are supposed to be the teacher here to educate them on how to utilize your product. You can combine this technique with your real-life visualization and application, like how you can fit in accessories to the organizer which comes with the storage box. Another example by imagining if you are selling kitchen slicer, what kind of vegetables can be sliced? Always try to show example, real life application. 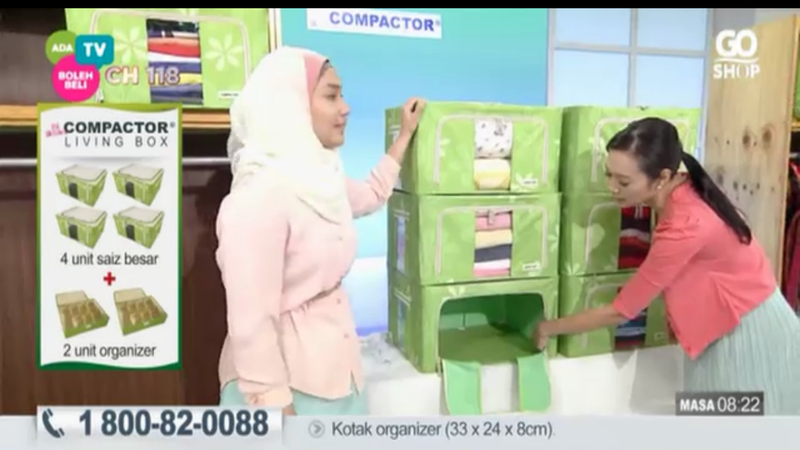 OK back to the storage box, it is also shown above on how to fold the box when it is not in use for space-saving purpose. 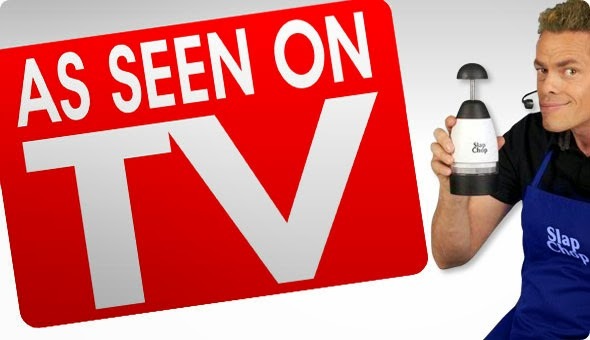 If you observe the TV shopping program or the examples above, there is a constant presence of real people who acts like the salesman demonstrating the usage of the product. It is no doubt one of the very important factors to convince your customer, by "bringing life" to your product which by itself is lifeless. 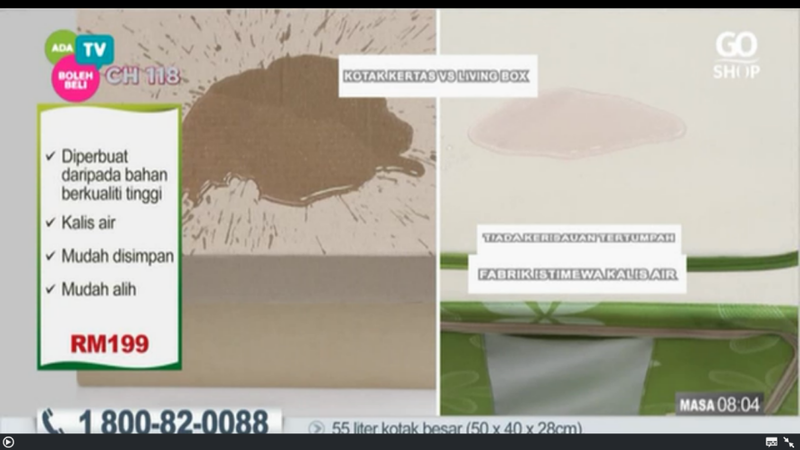 We have even seen in the TV shopping show that the host is dressed in Superman suit flying from house to house with the product solving problems, it is all about creativity. Besides product selling and demonstration, you can also explore the ideas of conducting customer's interview or feedback which makes a lively testimonial. Last but not least, it is crucial to deliver the message by summarizing your offer and call-to-action. 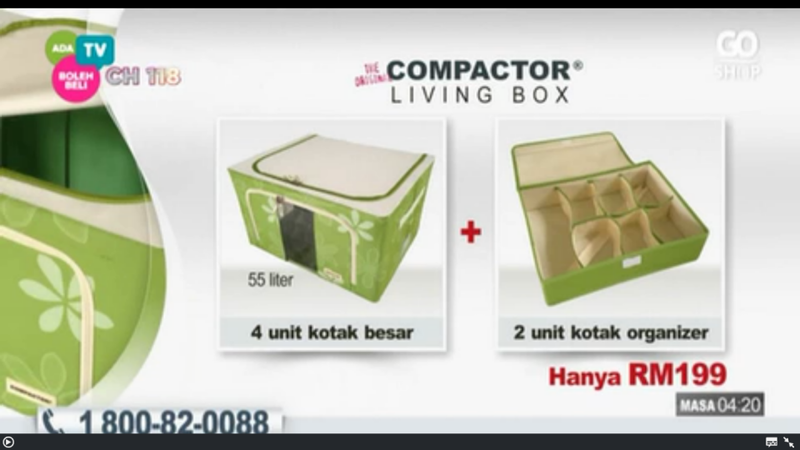 As shown in the example above, it is very clear that you will get 4 units of storage box + 2 units of organizer with RM199, are you convinced now? In your product page, best if you can highlight the USP like exclusivity, limited inventory / time offer etc. Of course, it is not an easy task to build convincing pages for all your products, but you can start with a few of your key products and measure the before vs after performance. TV Shopping is delivering the message via hosts a.k.a. the salesman, so always remember that the product page is your online salesman! You might also be interested in our previous articles on how to convert your traffic into sales.